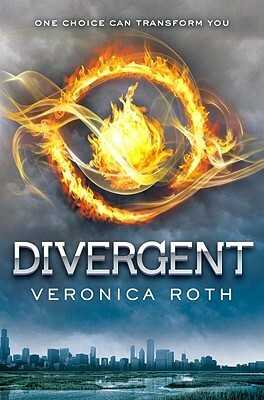 I checked back, and it’s been two years since I read Divergent – high time I read Book Two, I thought, and I had some summer time reading space and went for it. Despite the gap between the stories, I didn’t feel lost as to what was going on in this book. It’s almost self-contained, with enough back-story reminders to keep you on track. There’s a nice sequel hook at the end so you come back for Book Three to see how it all works out. Roth sketches her world in rough outlines, with shades of grey and rain the predominant colours and weather, but despite that, you get a solid sense of place and are very grounded in this world and its characters. I commented in the first book there didn’t seem to be much chemistry between Tris and her instructor, Tobias (now her lover). This time it seems more developed and the relationship more concrete. There seems to be more of a need for each other now. Roth doesn’t hang about in this book. Her pacing is relentless; there aren’t many pages where the characters aren’t moving forwards to the next event. Tris is shifting locations constantly in this book, from Amity orchards to Candor confusing corridors. The pacing is almost too fast, and sometimes the action blurs into one. Tris also changes alliances as her whims take her. I’m not sure I would Tris with my back in a fire-fight: She might decide the people we were supposed to be fighting have a better deal for her. It does make her character and the dynamics of her relationships more interesting though. Tris is a woman in conflict, with everyone around her and herself. I will be coming back for Book Three…maybe in another two years. I picked this one up cold from a vibe from Goodreads. Quite a few people seemed to be talking about it and making it book of the month. Having read the 500 pages in under a weekend, I can see why. The story is set in a crumbling Chicago of the future, some time after an unspecified ‘war’. Society has rebuilt itself along tribal lines: Abnegation, selfless charity workers, Amity, friends to everyone, Candor, who never lie, and Dauntless, the closest to the military. Everyone belongs to one clan, above all other sentiments, even to their family. 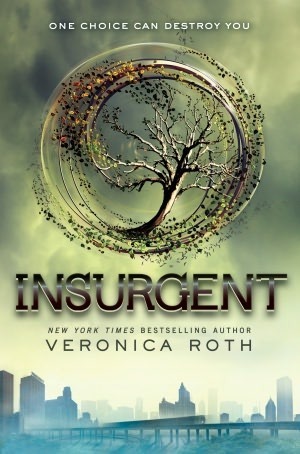 When Beatrice Prior is tested to see which clan she should take for the rest of her life, she’s stunned to discover she’s ‘Divergent’, having attributes of more than one clan. Told to hide her test results or her life will be in danger, she chooses the hard and brutal life of a Dauntless, fearless and militaristic. I was expecting her to announce she was Divergent at the start of the book, but it didn’t turn out like that. The book follows her training and selection, and at times is brutal and honest in its description of the violent life the Dauntless lead, though never to the detriment of the story, or simply for gore. There’s also a romance between Beatrice and her instructor, an understated sub-plot that becomes more important at the end of the book. That was the only part that felt flat for me – there didn’t seem to be much chemistry between them. The characters are all drawn well, each has their own personalities and weaknesses and strengths. Only the villains Peter and Molly seemed a little cartoonish, but that didn’t stop them from being brutally efficient at removing the competition. Every page of this book has something going on. Either Beatrice is being tested, is falling in love, is trying to discover what it means to be ‘Divergent’ and why she should hide it, or is trying to stop war breaking out. There isn’t a space wasted, and the pace of the book doesn’t slow at all. I rocketed through it, stuck to every page. I can’t wait to swallow up the sequel. For our Book Trailer Thursday meme we’re featuring the best-selling YA dystopian novel Divergent, by Veronica Roth. I have to say – I’m not a mega fan of the book, as you’ll see when you read the review – I’ve not posted yet as I’m waiting for the other blog readers to tell me if I’m being terribly unfair to the book…we’ll see… Anyway, for a dystopian it feels quite unrealistic, which is probably my main gripe: there’s no single overarching power or government in control of the environment that forces people into the various ‘factions’, it doesn’t feel like a situation that would naturally occur. Overall, it felt a little like YA dystopia-by-numbers: 1984 Room 101 type scenario – check; Hunger Games-esq violence – check; random division of society – check… It just wasn’t overly original to me, although it’s well-written. So – what about the trailer – I expected something good for a big budget, publisher driven book – but it’s not really – it’s not unlike what many indie authors are producing for their own books, with minature budgets. Yes it’s polished, but there’s not much to it – again – it lack originality for me. And also – rip-off of The Hunger Games flaming mockingjay much?